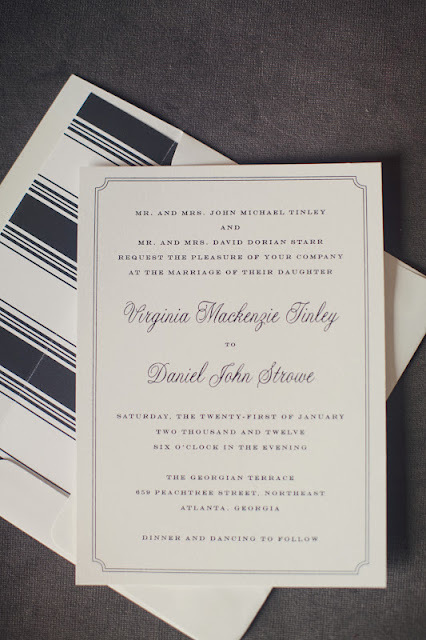 this wedding was held in the heart of atlanta’s midtown neighborhood at a gorgeous historic hotel, so chic style was in order! 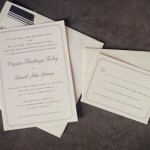 a polished border, custom envelope liner and super-luxe cardstock made this invitation that much more dashing. 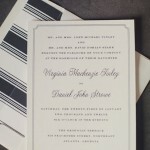 this invitation was featured on style me pretty’s national blog!